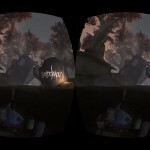 Immersive virtual reality gaming is good, frighteningly good. So good that it makes me worry that people will increasingly choose the excitement of virtual worlds over the relative mundanity of the real one. Recently I was walking through the British Film Institute (under Waterloo Bridge in London) on my way to the library when I stumbled upon something rather marvellous. 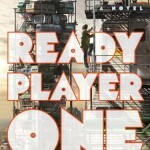 The experience I had was so wonderful (it genuinely filled me with wonder) that I quickly reached a chilling conclusion: immersive virtual reality (VR) gaming is now so good that it seems clear that in the not too distant future it will be a miracle if parents ever manage to get their kids to leave their bedroom and venture out into the real world. Last year I interviewed Prof Mel Slater, a widely respected guru of VR technology formerly of UCL and now at the University of Barcelona, in which he stated in no uncertain terms that immersive virtual reality gaming is now affordable enough to be accessible to everyone. Chancing upon a computer gaming conference at the BFI gave me the opportunity to get into the demonstration suite ahead of the delegates, which meant I had the computer game programmers all to myself and discovered first hand exactly how good these games have become already. The experience of actually being inside the computer game is incredibly compelling. 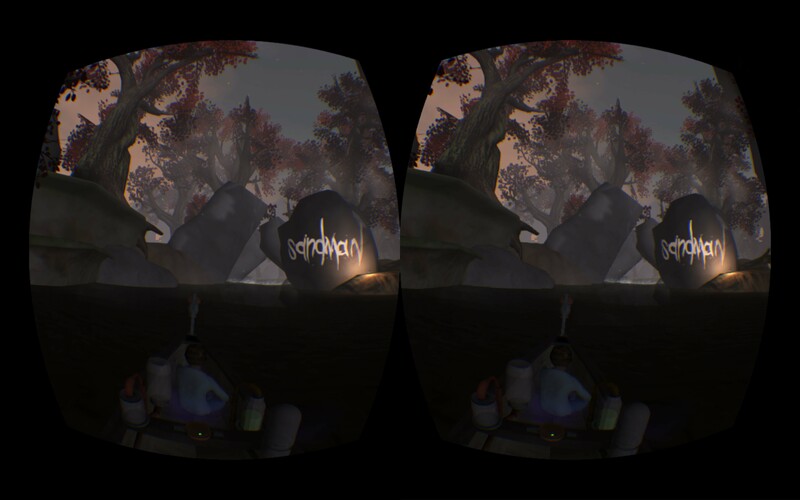 I made a beeline to a game called “Sandman” that made use of a Head Mounted Display (HMD). 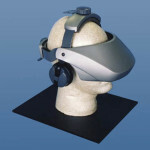 An HMD creates a truly immersive 3D VR experience via two key features that trick the brain into feeling as if you have been physically transported into the game. Firstly, a different image is presented to the left and right eye, slightly offset in terms of perspective (in a manner identical to real life circumstances) from which the brain can create 3D vision. 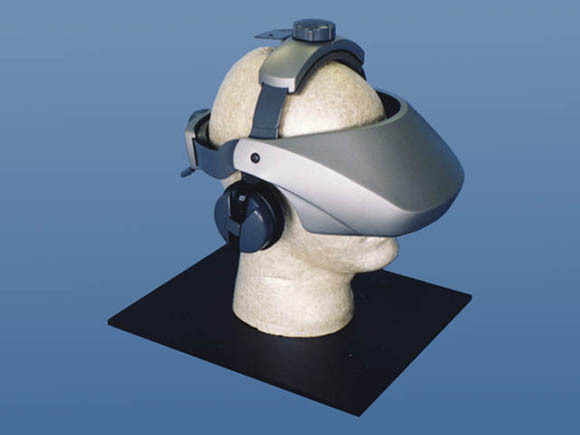 Secondly, and this is critical to the illusion of being physically immersed in the 3D world, the HMD also tracks the movements of your head so that the image presented to the eyes changes as it would do in the real world. If you look up, you see the sky. As you move your head to the right the images presented to the eyes scrolls across to give a view of whatever is to your right in the 3D environment. Twist all the way round and you can see what is directly behind you. Look down and you can see your own computer-generated body. This creates an extremely compelling illusion that you really are “inside” the game. “Sandman” involves paddling a canoe along waterways within an enchanted forest. It was absolutely magical. Meditative even. I immediately felt calmer having been transported into this alternate gaming universe. The images provided at the top of this post simply don’t do it justice (even when you click on it to reveal the full high def image). It looks so much better when you are wearing the HMD. The colours of the forest canopy were so vivid. The sounds of the water lapping at the boat and from the oar as it pushes against the water each time you paddle is very realistic. Using a normal Sony Playstation controller you can paddle on the left or right side of the boat and even paddle in reverse to guide the canoe just as you would a real one in the normal world. Of course the controller doesn’t give you the usual haptic feedback – but just wait – it soon will. 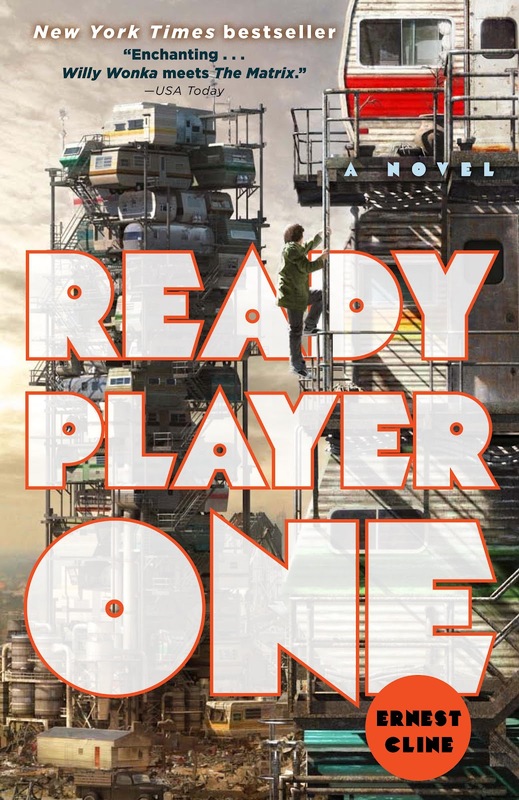 If you can’t wait that long read READY PLAYER ONE by Nathan Cline – it’s a fantastic science fiction account of how good this kind of technology is likely to get in the not-too-distant future. Patrolling the perimeter of a lake I eventually stumbled across a narrow stream and slotted my virtual boat between the rocks on either side I navigated the chicane they created and came across a small boy on the bank to my right. Behind him an old man was calling him back from the waters edge. As I turned to look at them the sound of their voices in the headphones shifted from just the right ear to both ears equally, demonstrating that not only was the visual world updated according to my head movements but so too were the acoustics. As I shot down the white water rapids encountered a short while later I giggled and whooped like a boy half my age. I was really enjoying myself and have never been one to hide my emotions. After about 20 mins I took off the HMD and headphones only to find, to my slight embarassement, that the room was now packed full of delegates (having been completely empty when I started the gaming experience). And there was a queue of about a dozen people behind me waiting to play! In addition to these monthly blogs I also tweet every day so if you would like to follow me on Twitter please click here. If you wish to leave a comment please email me rather than leaving a comment below because I’ve been outpaced by the spambots!